Food justice is about everyone’s individual and collective right to grow, distribute, access and eat healthy food, no matter who we are or where we live. 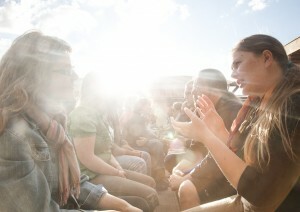 It’s about community power. WhyHunger believes that communities are already brimming with the necessary resources to realize food justice for everyone—from the strategic and technical expertise of local farmers, business owners, students, legislators, activists, health workers, and teachers; to the infrastructure and natural elements that surround us everyday; to the sheer people-power and passion of neighbors working together to realize a common dream. These are the elements that make every community unique and should be accessible to all who seek the systemic change required to ensure the essential human right to nutritious food. And we know there are a lot of communities out there working to change their local food system. Each of them has a unique history, culture and mix of opportunities and resources. We’re sharing our stories, tools and learning from this four-year project, Building Community Power for Food Justice, as a means to inspire, motivate and support communities across the country that stand beside us in the movement for food justice. We hope you will adapt and reinvent these tools to create new stories of transformation in your own community. * To learn more about WhyHunger’s work to support and promote the movement for food justice in the United States and around the world, click here. * Check out WhyHunger’s Connect blog and Storytelling section for the latest stories, news from the field, and highlights of the incredible work going on at hundreds of grassroots organizations that WhyHunger partners with across the world. 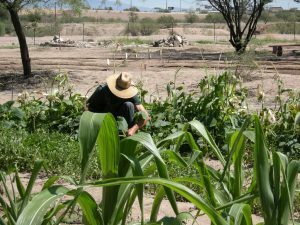 Somos La Semilla is a network of grassroots groups, organizations, funders, farmers, activists, educators, backyard gardeners, seed savers, and community health clinics in the Arizona-Sonora Borderlands working together to grow our future though healthy “fooding” systems. The Delta Fresh Foods Initiative (DFFI) is a diverse coalition of community stakeholders committed to establishing sustainable, equitable community food systems in the Mississippi Delta. In November 2012, WhyHunger convened a gathering of all three regional networks engaged in the Building Community Power for Food Justice project- Mississippi, Arizona and California. First and foremost, the members of all three networks in Mississippi, Arizona and California– who tirelessly commit their free time, passion, and tenacity to this work, and who are shining examples of what it looks like to love your community! David and Michael Hanson– whose creative genius, patience and flexible travel schedules brought so much heart and insight to the stories and images from all three networks. Darlene Wolnik– who combined her research mind with a user-friendly expertise to guide the development of this toolkit. Tom Leger/Collect Pond Creative– who stuck with us through multiple changes to build this beautiful site…and is still talking to us! And to our funders, the W.K. Kellogg Foundation and the Kresge Foundation, for their generous support of our vision and our partners.